It’s only been a couple of days since AMD’s FAD event concluded, bringing many new product announcements key among which was mobile Ryzen. The company’s head of computing and graphics Jim Anderson announced that they will be introducing high performance Ryzen APUs for the premium mobile market. An area AMD hadn’t played in for nearly a decade. He also unveiled for the first time that Ryzen APUs feature on-die next generation Vega graphics cores. Asus didn’t wait long to act on this announcement. 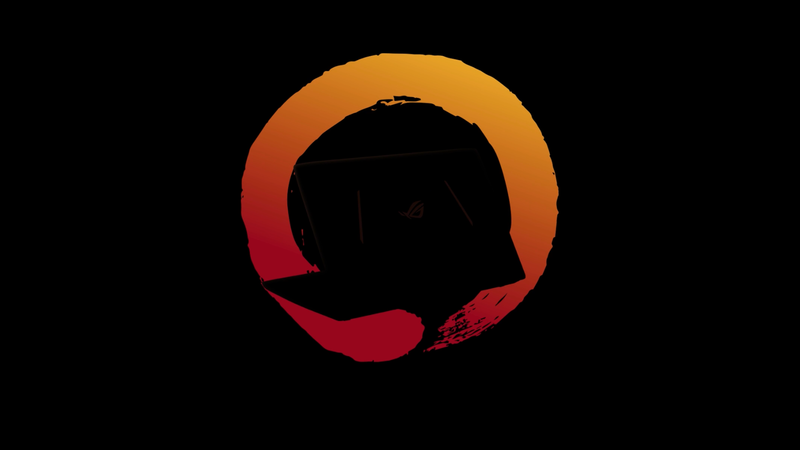 In fact the company came out with a brand new marketing teaser for the first ever Ryzen powered gaming laptop. The teaser doesn’t reveal a lot but it does show just enough to get the point across. The video’s description includes yet another teaser in the form of a hashtag that reads #Computex2017. Ryzen APUs aren’t due for at least several more months as they’re officially slated to debut sometime in the second half of the year, towards the holiday season. But if this teaser is anything to go by it looks like we won’t have to wait that long to see some Ryzen powered laptops in action. It goes without saying that Asus reserves the Republic Of Gamers brand for its most premium products. The fact that it’s building ROG laptops around AMD’s Ryzen APU is quite telling. 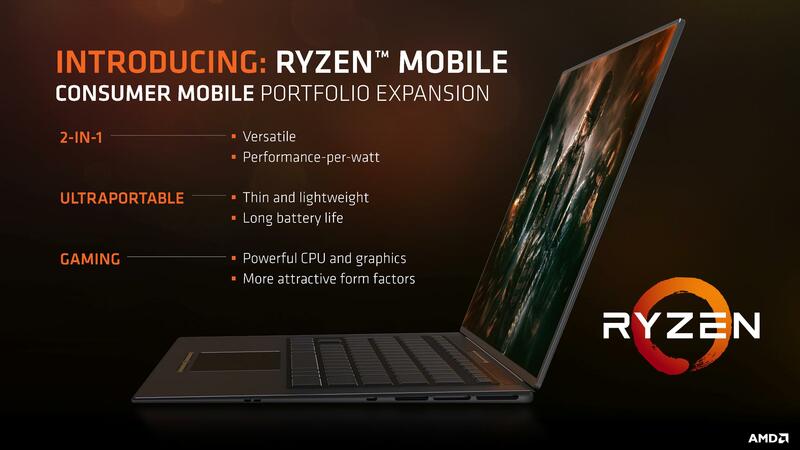 When AMD said mobile Ryzen APUs will go into premium gaming laptops, 2-in-1s and notebook devices, it was dead serious and it clearly has the design wins to back this up. It will be very interesting to see if this ROG gaming laptop will have a mobile RX Radeon graphics card paired with a Ryzen APU or if its going to be purely powered by the APU. We have never seen any premium gaming laptop, from Asus or anybody else, that doesn’t include a discrete graphics card. If come Computex we learn that it does not include a dedicated GPU this bodes extremely well for how powerful AMD’s Ryzen APUs could be. 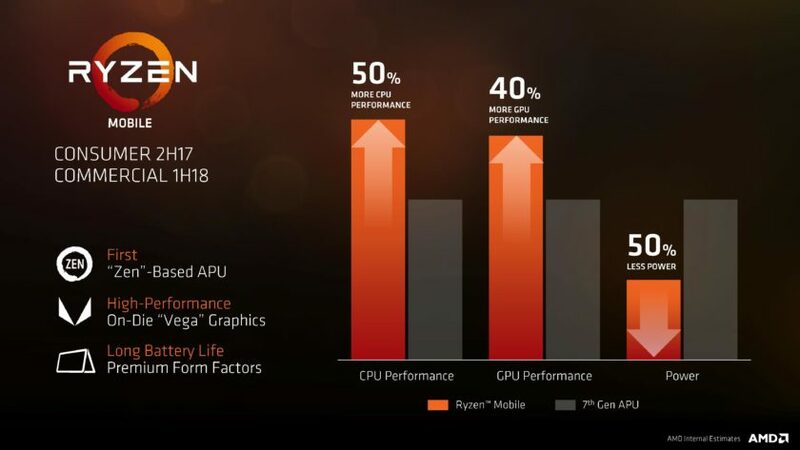 Officially, the company states that Ryzen APUs deliver 50% better CPU performance and 40% better graphics performance compared to its current generation mobile APUs, all the while using half the power. In other words, you get three times the computational horsepower for a given watt. This is by far the biggest perf/watt stride we’ve seen from any notebook processor to date.